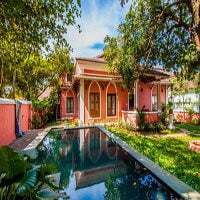 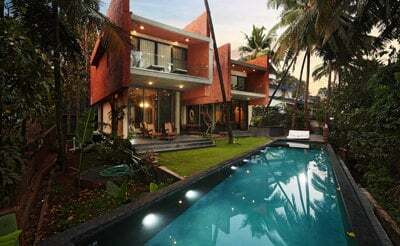 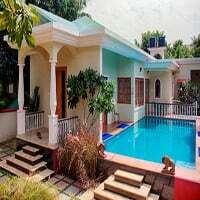 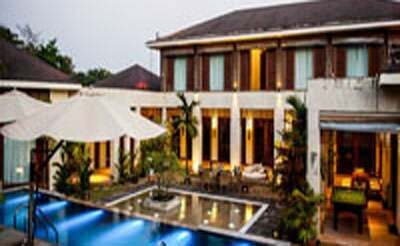 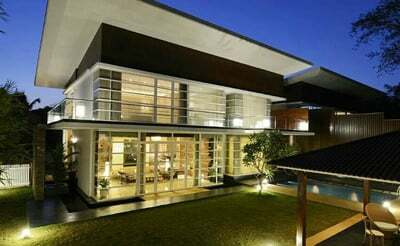 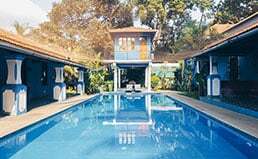 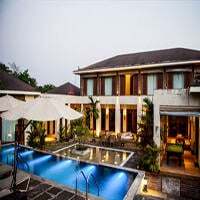 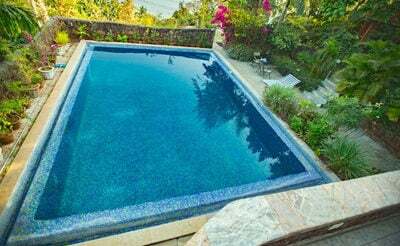 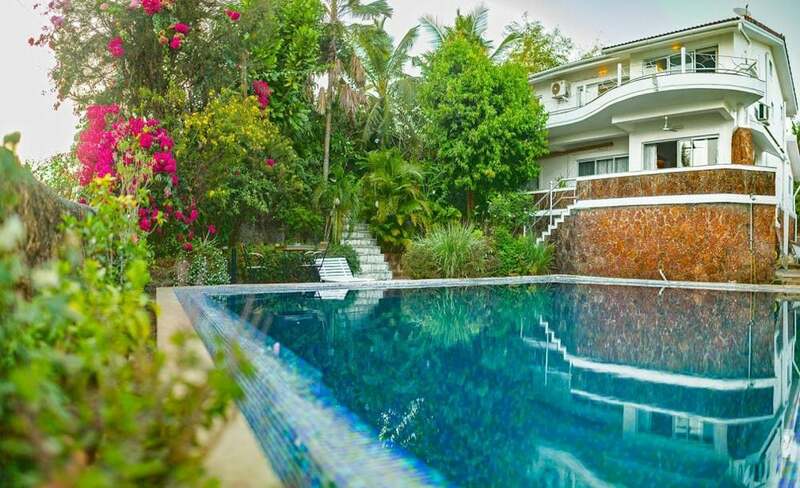 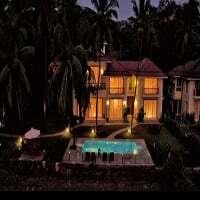 Villa Raga is a beautiful 4 bedroom private pool villa in North Goa. 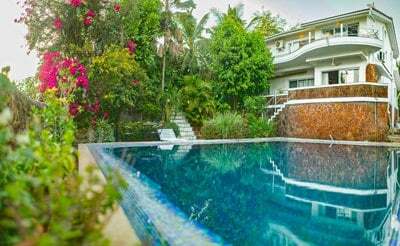 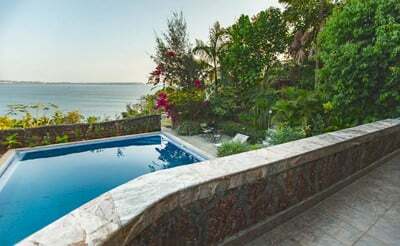 This beach facing villa with ethnic prints and modern conveniences create a lovely vibe while you holiday with us. 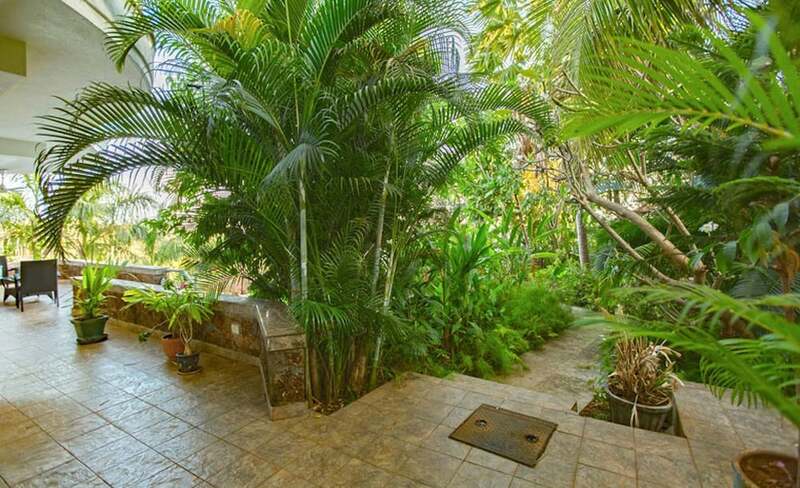 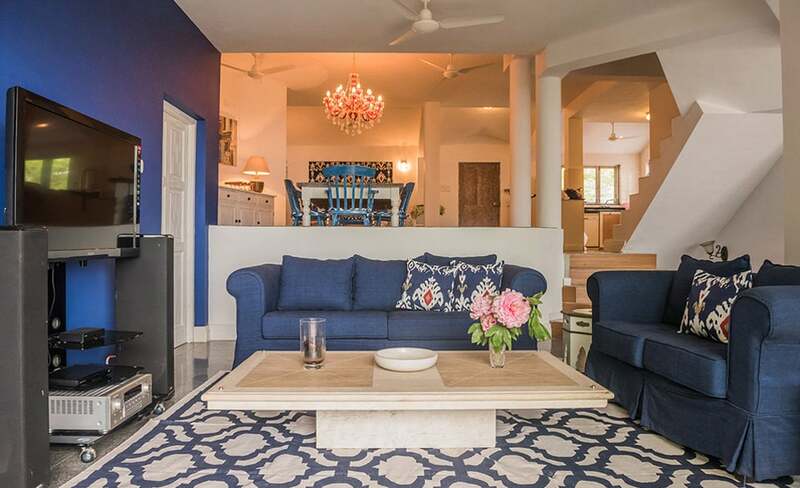 This independent villa is designed to be in two floors with lovely interiors. 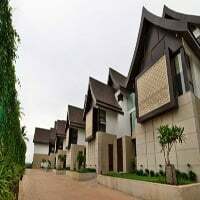 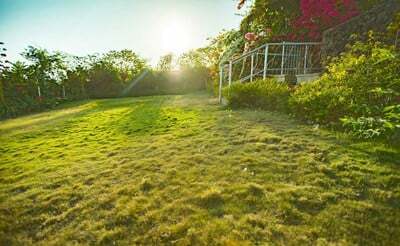 The huge garden and lawn with its lush greenery is apt for a serene walk or for practicing yoga. 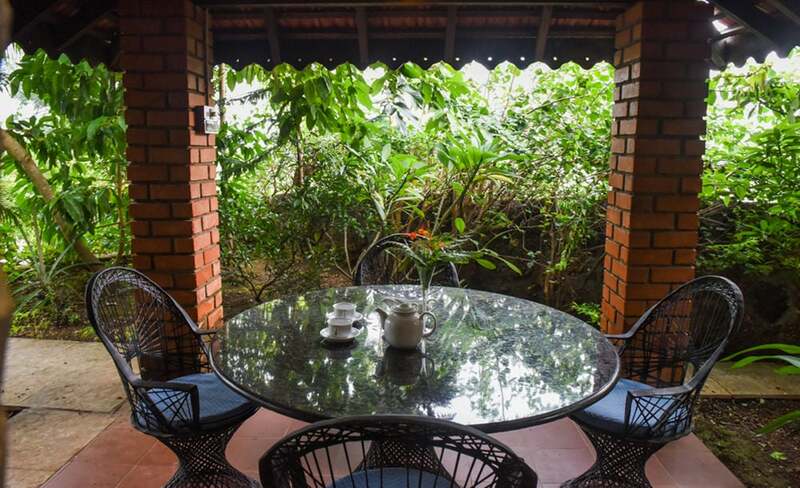 The garden chairs along with the coffee table provide a good place to sip a cup of coffee or a drink in villa Goa. 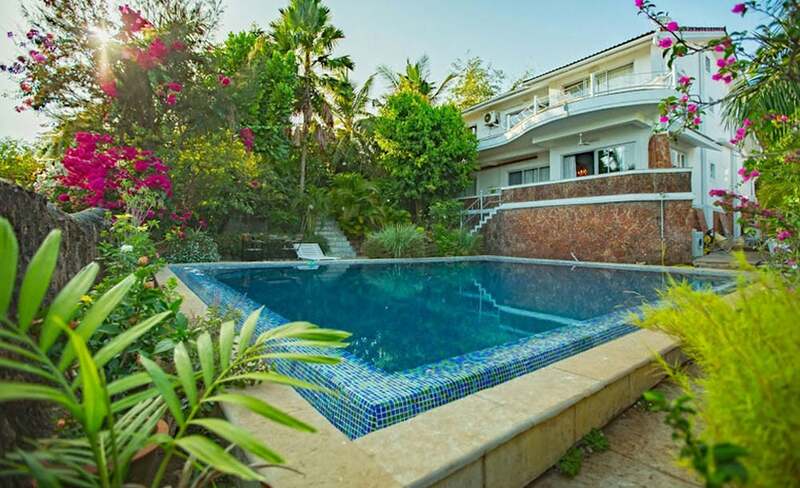 The big private swimming pool in the villa is good for your group to take a dip in the hot afternoons. 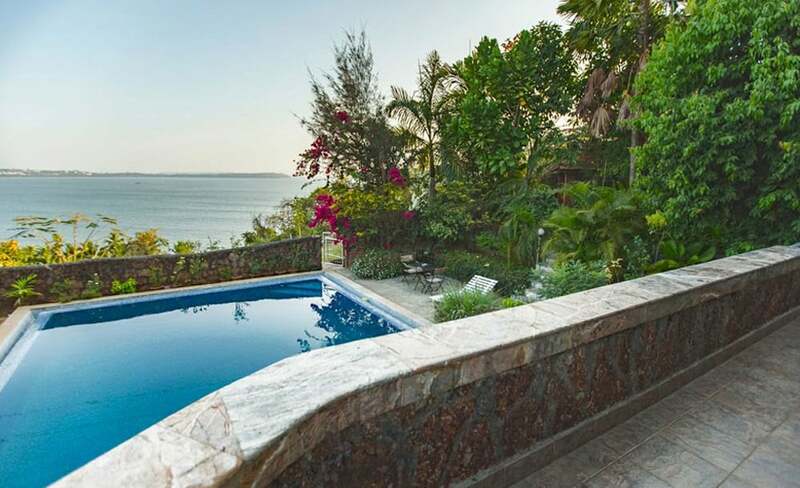 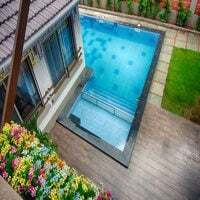 You can also dive and pool party with your group of friends and family. 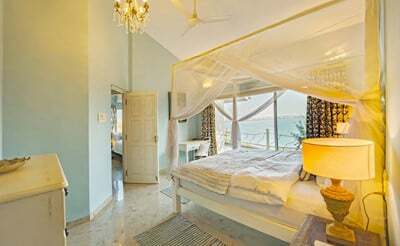 The fresh Goan breeze from the beach can be experienced from anywhere within the private villa in North Goa. 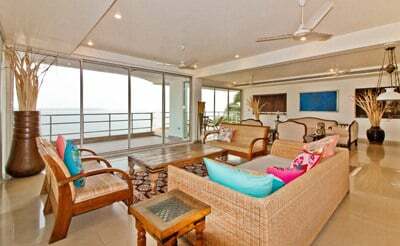 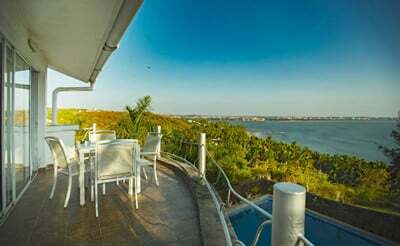 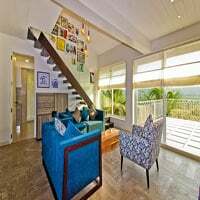 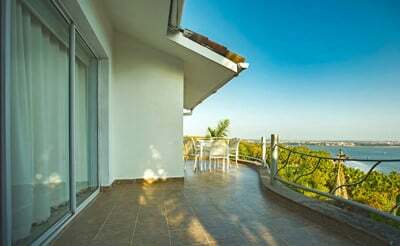 The highlights of this villa in North Goa are the spacious, bright and airy rooms with spectacular views. 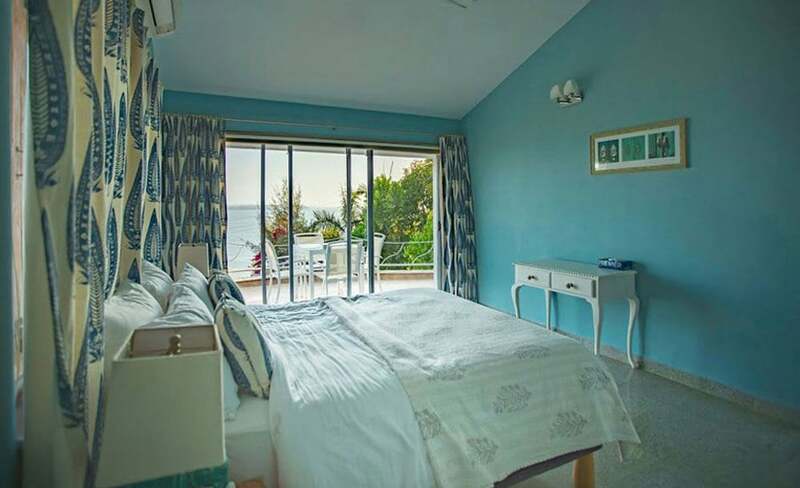 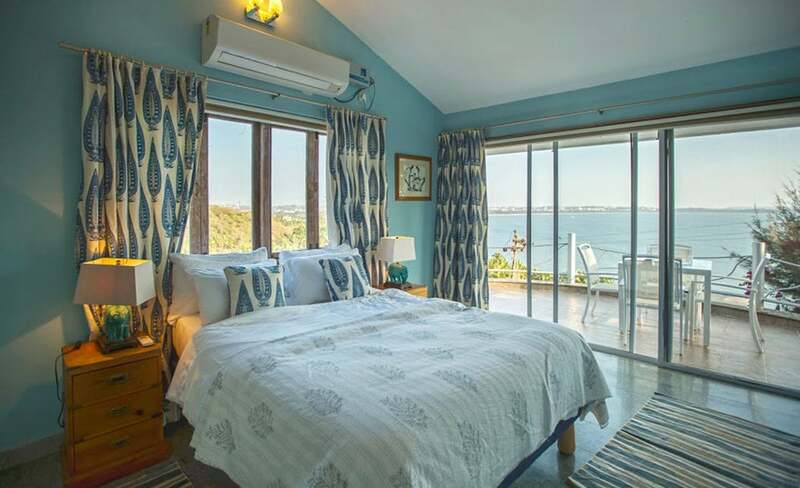 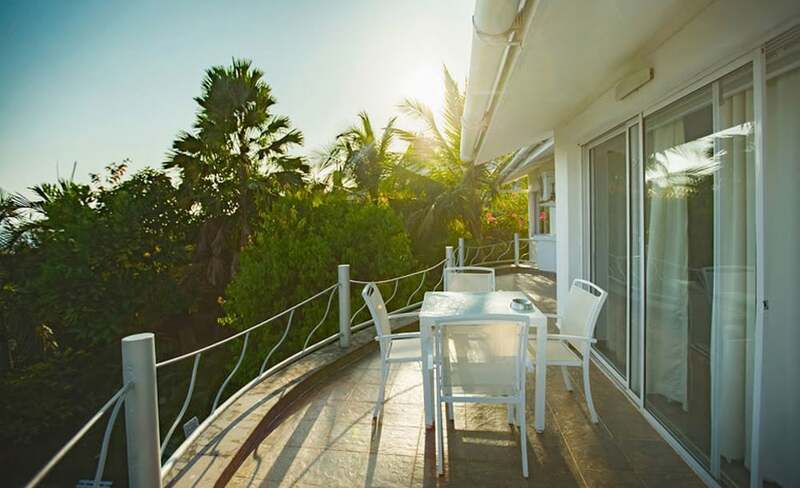 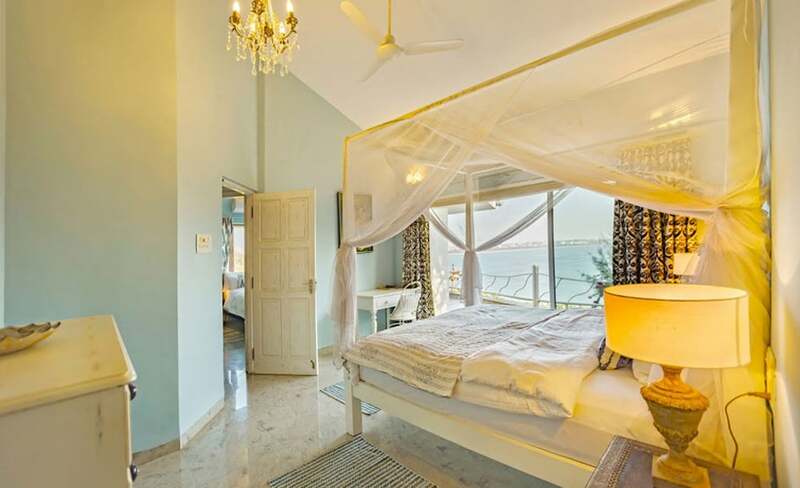 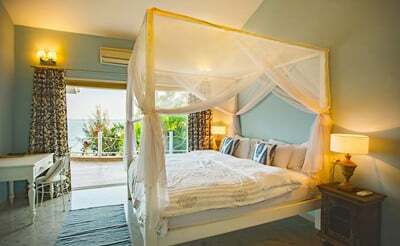 All the bedrooms on the top floor come with a small balcony overlooking the beach. 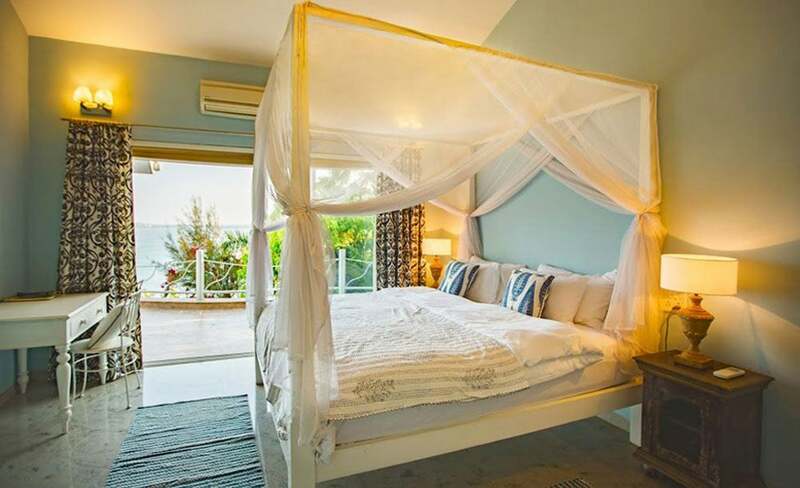 The master bedroom is in the ground floor with King sized beds and en-suite bathroom. From the wrap around balcony in the independent villa you can watch the beautiful sunrise and sunset throwing orange-red glow all over the private villa. 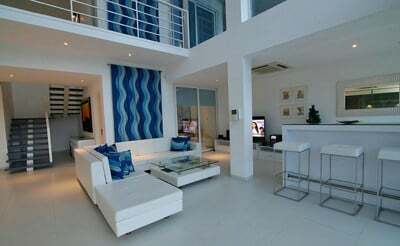 The ground floor houses the living, dining and the self-catered kitchen. 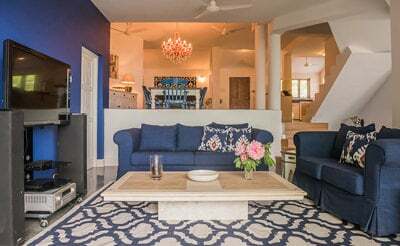 The living room is perfect to sit and relax, read your favorite book or for a family movie time. 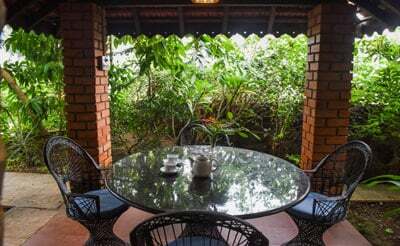 The fully equipped kitchen with cutleries and crockeries can be used to prepare some delicious delicacies. 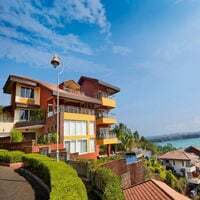 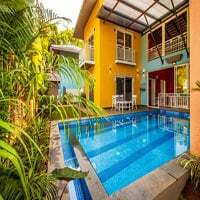 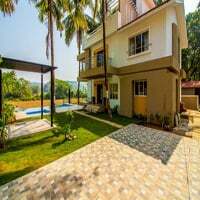 This Goa villa also comes with housekeeping, security, power backup, Wi-Fi, parking and a caretaker. 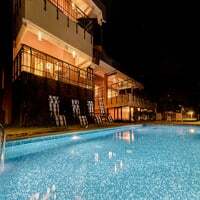 With television screens, music system and air cons get ready to spend a memorable vacation by staying with us and take back lovely memories until next time.